Mr. Montoya is a bilingual attorney practicing in the Houston office of Liskow & Lewis. Mr. Montoya currently focuses his practice on representing clients in commercial, consumer, energy, and general litigation cases in state and federal courts. He has resolved numerous lawsuits through motion practice, settlement negotiations, and mediation. Additionally, Mr. Montoya has represented clients in the Texas Courts of Appeal and the Fifth Circuit Court of Appeals. 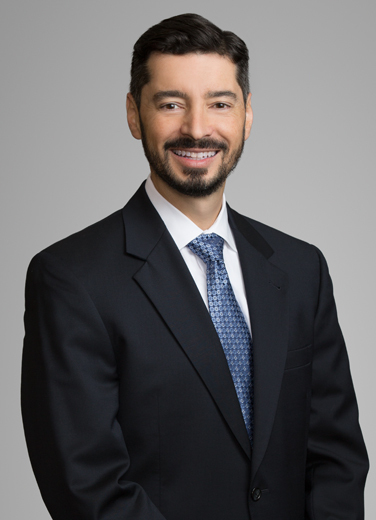 In addition to his litigation experience, Mr. Montoya has advised clients on compliance with state and federal regulations, negotiated and drafted contracts, provided advice on general business and employment matters, and administered a complex in-house mediation program for a large corporate client. Defended an energy company against a homeowner’s claim of environmental contamination. Defended an energy company in mass tort litigation in state and federal courts in Texas and Louisiana involving alleged releases of toxic substances. Defended seller of real property in breach of contract litigation. Defended a bank in breach of contract litigation. Defended an energy company in a software litigation dispute. Defended automobile dealerships in various consumer litigation lawsuits. Oversaw the Texas litigation docket of a large national automotive consolidator. Defended national and local retailer in Houston area in non-subscriber worker’s compensation cases. Defended the former Governor’s Chief of Staff and Press Secretary in a defamation suit. Discovery Sanctions. University of Houston Law Foundation Civil Discovery Under the New Rules. Houston, Texas, 1998, 1999.